The title of Kenneth Pobo’s new collection, Loplop in a Red City, both gestures toward the methodology behind these poems even as it highlights the ambivalent role of the trickster-creator—a figure that would simulatneously fashion a text and reflect upon it from a remove. 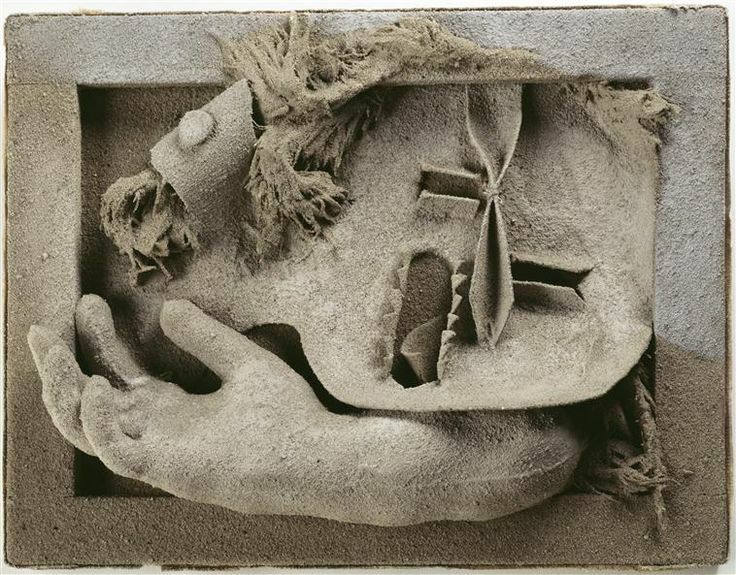 The loplop is a bird-like figure created by artist Max Ernst which functioned as a stand-in for the painter within his own work, both comprising and commenting on the pieces in which it appeared. The liminality of that figure serves as a fitting guise for Pobo here as well, as the author seems to move back and forth between the text of the poetry and the classic works of art that inspired them. change. My mother is dead. about my arrival. It’s dust. Mostly. The relationship between the text and the sculpture only seems obvious once so described, but having been described seem nothing other than natural and correct. With this vision now established, the poem moves out into its own space, carrying with it the image of the sculpture itself like a specter, returning to it in a rhythmic fashion that imbues the lines with a unique and resonant power. The triumphs of Pobo’s ekphrastic texts lie less in any consonant relationship between the given poem and the artwork than in the dissonant collisions sparked by the art and extended through the poetry. In the collection’s best moments, it’s as though Pobo’s language leaps out beyond the artwork to another plane altogether—a plane that nevertheless feels as though it was prepared by the artwork itself. a truth from her closed mouth. completely, to magic. As we have. 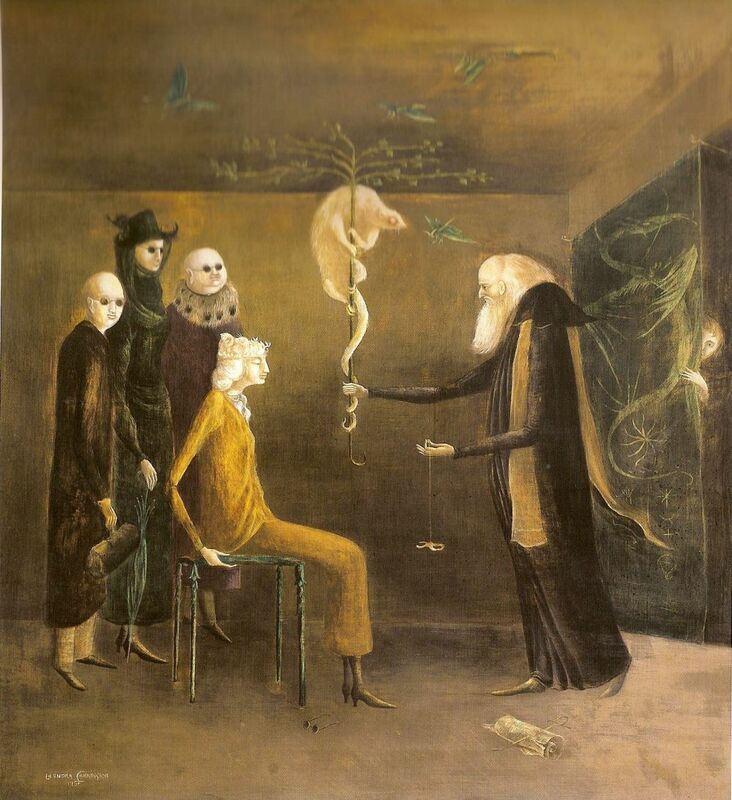 It’s not necessary to know the painting in order to get a sense of the mystery these lines impart, and yet the stanza also functions as a simple, precise and elegant narration of the fantastical scene portrayed in Carrington’s painting. in a language only she understands. At this point the text leaves the painting behind with a series of images that ground the scene in the quotidian, aligning the mystery of the first stanza to the mystery felt by a child, the everyday mysteries that suffuse a child’s world that are common and present and perfectly natural. The third stanza returns to the scene of the painting itself, in which an old man inexplicably offers a possum to a seated woman. For Pobo, the possum acts as a trigger that would threaten the consistency of the presentation, both pictorial and textual. The insertion of doubt within the poem, doubt about the legitimacy of the possum, rapidly extends to doubt about the intentions of the interlocutors, the verisimilitude of the entire scene of reference from which the text would draw. It throws the poem into a chaos that it casts back upon the painting itself, altering the scene and thereby challenging the authority of the visual over the textual. she says, is my birthday. I am eighty. tiny sailors guiding them safely home. Moving from the painting, through the painting and finally out of the painting, these lines take us elsewhere, into a new place both inspired and correct. It is a freedom of expression earned, borne out of struggle, released onto, and captured by, the page.